Hello Beautiful Ladies! It’s time to wake up and make Wednesday... – Juka's Organic Co.
Hello Beautiful Ladies! It’s time to wake up and make Wednesday gorgeous. Isn’t happiness lies having the best looking hair? So, invest in your hair as it is the crown you never take off. Though your life isn’t perfect but your hair can be. Don’t give up on your hair journey; otherwise, a year from now you will wish you had started today. 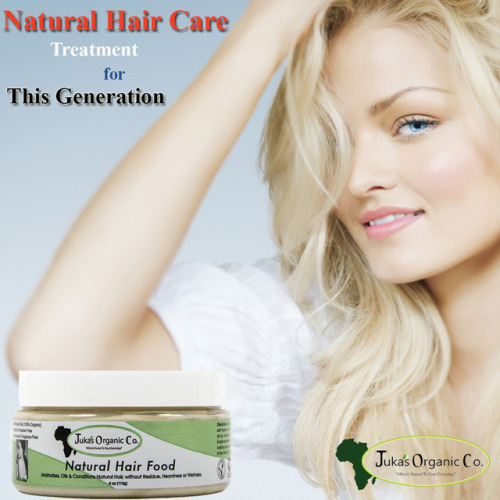 Have a jar of Jukas’ natural hair food and take a step ahead for wining a natural hair. Our purest and organic natural hair food manufactured from all organic natural food oils to instantly help you soften the rough textures of your hair. Have this product and we guarantee that you will achieve very soft, polished, moisturized and smooth hair. We provide you this natural hair care treatment to let you enjoy beautiful, silk and shiny hair.